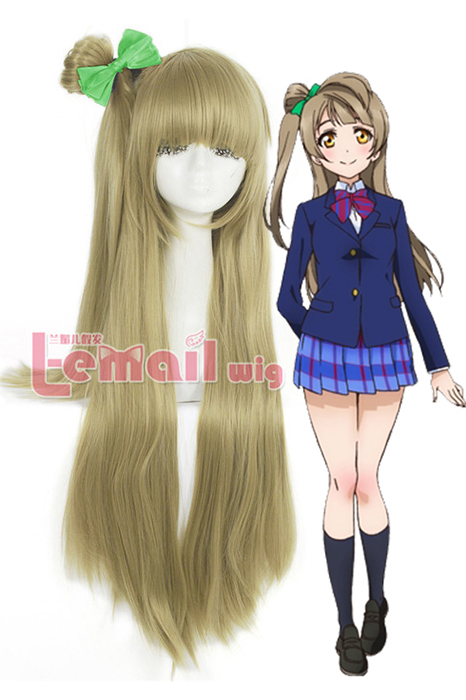 90cm Flaxen Minami Kotori Cosplay Wig for Love Live! It’s said that Love Live! has got widely attentions among all the anime lovers and cosplay lovers, have you attracted? Do you want to have a try from the simplest style with a wig? Then what catches your attention in a wig? The bangs or the super silky smooth tresses? 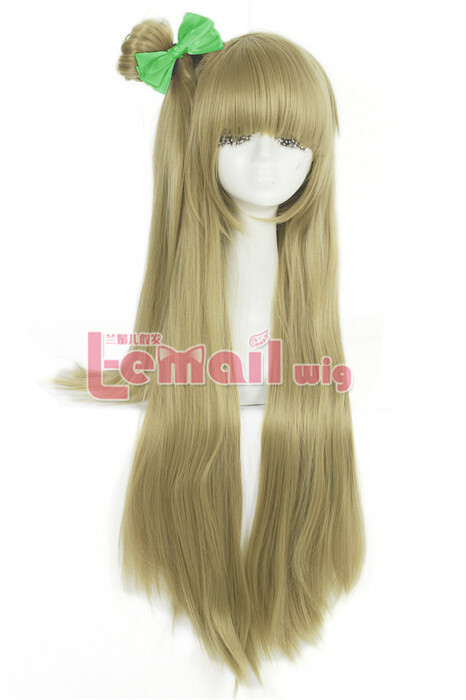 Flaxen Minami Kotori cosplay wig is a natural looking fancy wig. The color is a pleasing sight whereas the straight locks make the wig look more lavish. The blunt bangs, a pony tail at the back with side chignon small bun draw attention, a bowknot is useful as decoration. This wig is super long and layered. The tresses are too smooth to develop tangles. 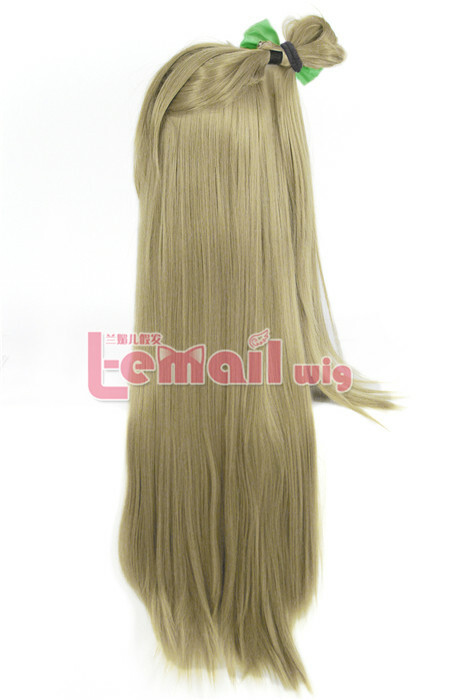 Flaxen Minami Kotori cosplay wig does not shine and the fibers even look nothing synthetic. 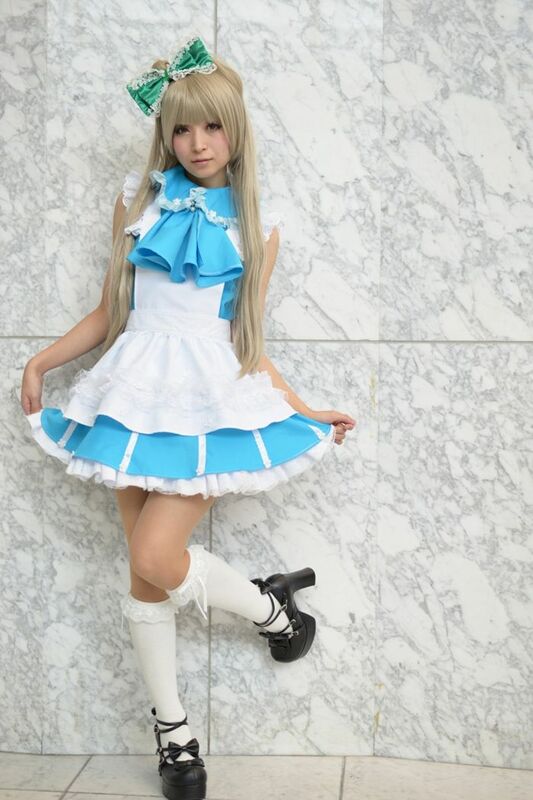 This entry was posted in Buy Cosplay Wigs, Fashion Wigs and tagged Long wig with bowknot, Love Live! 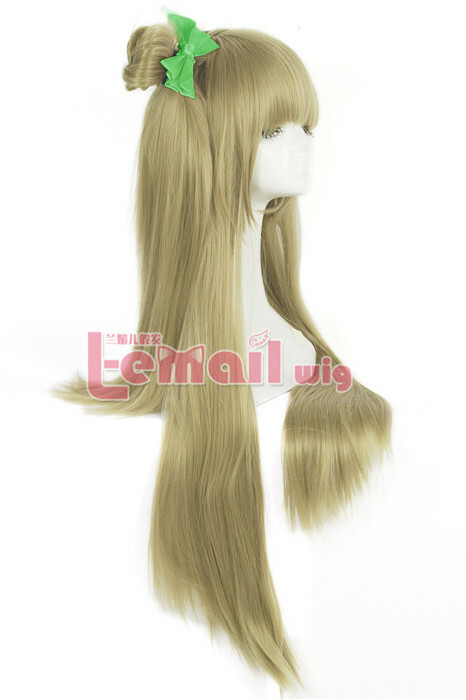 cosplay wig, Minami Kotori Cosplay Wig.